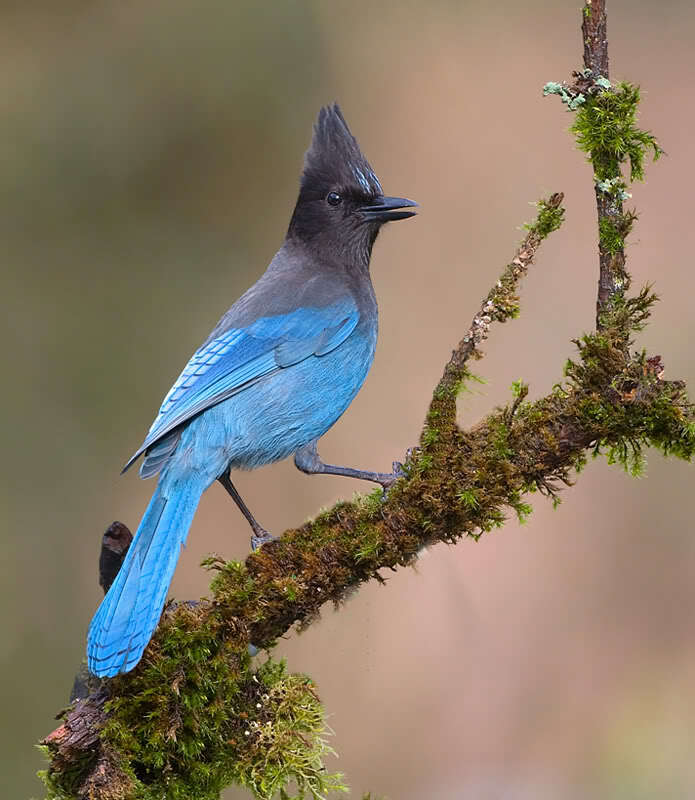 The Makahs tell a story about how the bird we know as the Steller's Jay - the bird the Makahs call Kwish-kwishee - got its crest. 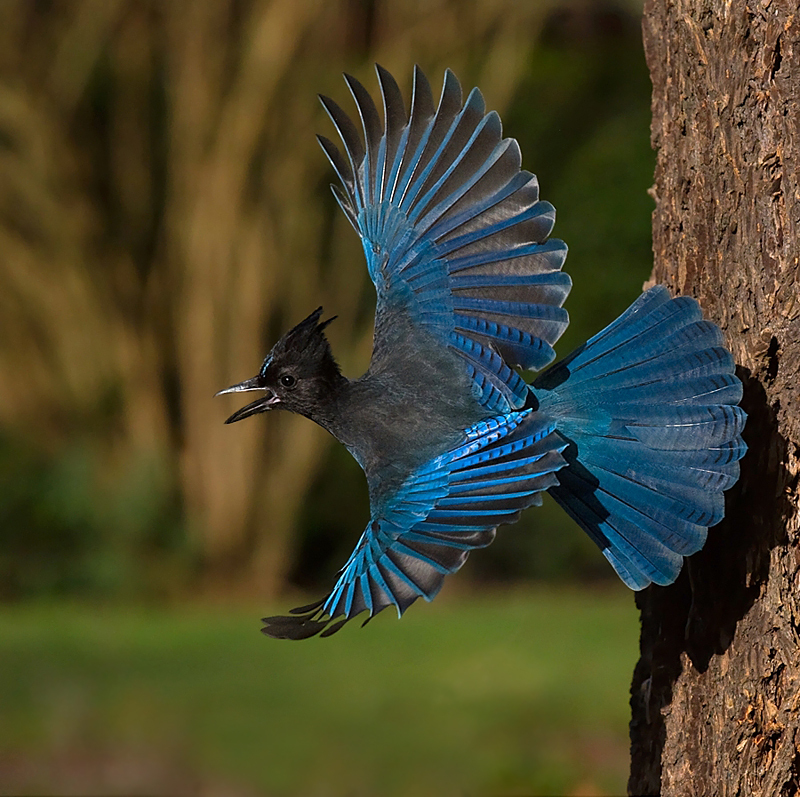 The mink, Kwahtie, tried to shoot his mother, the jay, with an arrow but missed. Her crest is ruffled to this day. 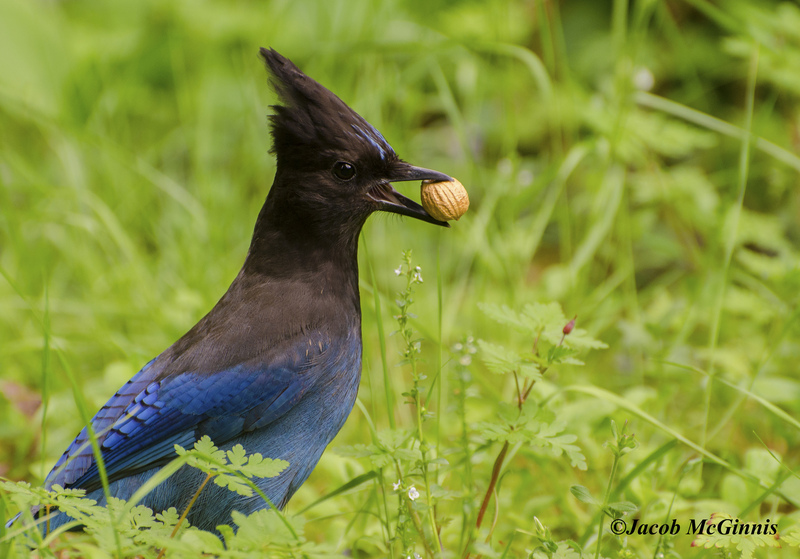 To see a photograph of a Steller’s Jay by prize-winning photographer Paul Bannick, come to our website, BirdNote.org. I’m Frank Corrado. 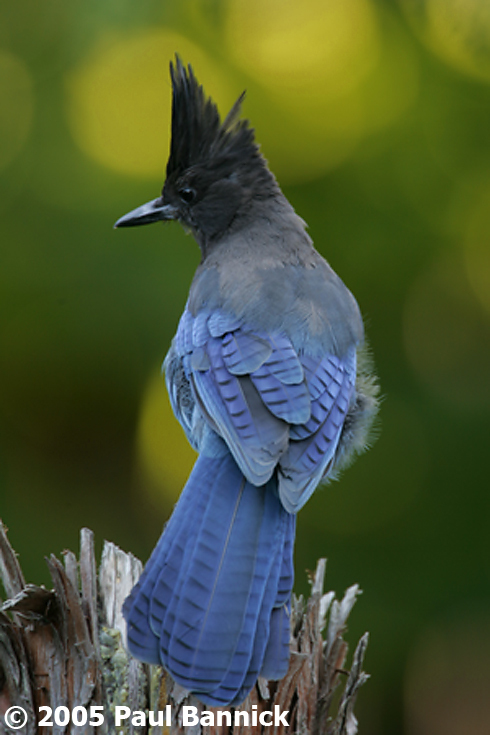 Call of the Steller’s Jay provided by The Macaulay Library at the Cornell Lab of Ornithology, Ithaca, New York. Recorded by G.A. Keller. Quotation from: James Gilchrist Swan. The Indians of Cape Flattery, Smithsonian Contributions to Knowledge, 1869, p. 64.